Thanks for visiting us on IBC 2018. 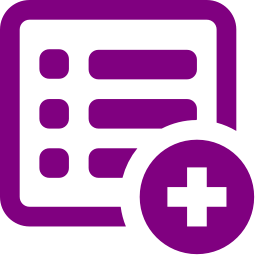 Easy Media Suite is an easy to use module based product that works with both simple and complex applications. Broadcast automation from EMS is an easy to use module based solution, playout, live CG, ingest, media asset management, IP multi-viewer and automation all from the same supplier. One of the pioneers of the industry who have developed broadcast solutions, specially designed for different customer applications starting from a local TV channel through to a fully automated large media center. EMS is the first to deliver a 4K playout system into a live on-air studio with a professional team of experienced people, pre-sales, sales, engineers, solution architects, broadcast developers, and demo artists. EMS helps your social media channel setups. Make your own YouTube or Facebook channel. Visit us at IBC 2018, EMS will announce new products and new properties at IBC2018. Bloomberg HT has selected to use Easy OnAir HD solutions at their Turkey operations. 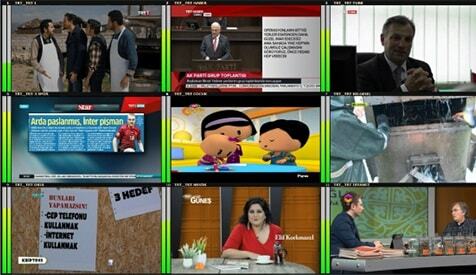 Easy OnAir Playout Automation has begun to use at Haberturk HD broadcasting. To user friendly GUI and stability, FIFA decided to use Easy OnAir playout automation for their facilities. MVTV is Local Satellite and Cable TV Station in Thailand chose EMS systems for their broadcasting infrastructure. Easy MAM is a powerful media asset management platform which provides an online proxy library of digital content via rich collaboration tools while managing native resolution content in storage and archive. Due to series of bestin-breed integrations, Easy MAM can provide whole integrated media workflows. Easy MAM systems ensure an immensely wide range of business project from small workgroups to large enterprise installations. After long tests Easy OnAir has a new optional feature, which is IP Input property. With the help of IP Input, no need to put IP decoders to get them inside an MCR operation. Especially file based operations, sometimes want to broadcast a live event, which is come over IP source. Via Easy IP Decoder property of Easy OnAir, users can get stream and put inside the playlist or can record the stream while previewing. Easy CGDraw is a real-time graphics management product, ideal for news, sport and commercially oriented TV channels, music shows, weather forecasts, religious channels and more. 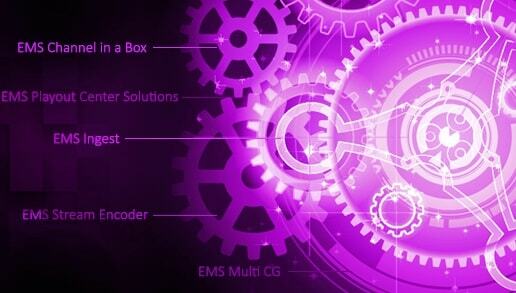 Easy CGDraw is a professional solution providing high-quality graphics, real-time straightaway. If you want to create timeline based roll, crawl, animation, live or file based video sources, mov files with alpha, timers, clocks and pictures and more object triggers, Easy CGDraw is the right solution for your project. TRT 4K is begin to broadcasting as 4K 50p HEVC from the Turksat Satellite at 19 February 2015. 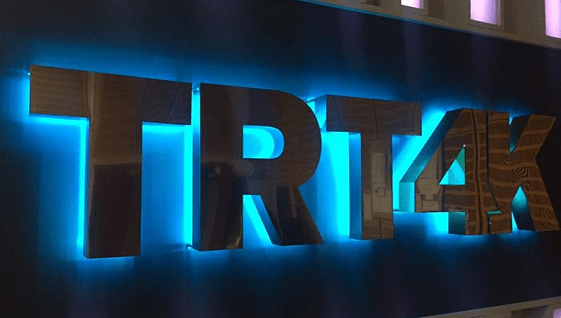 TRT has begun to use Easy OnAir 4K solution as playout automation in their 4K setup. Easy OnAir 4K has used as master & slave and Easy NetControl, Easy Playlist Editor and Easy MAM solutions has been used in TRT 4K facility. Easy DVB Mosaic is useful to monitoring of IP sources. Easy to manage and analyze TS streams, also analyzing video and audio signals. If source stream has lost automatically warning and logging. Analyzing and previewing of video and audio sources in a multiviewer is very important need for an IPTV center or uplink center. Easy DVBMosaic is the best solution that corresponds these requirements.